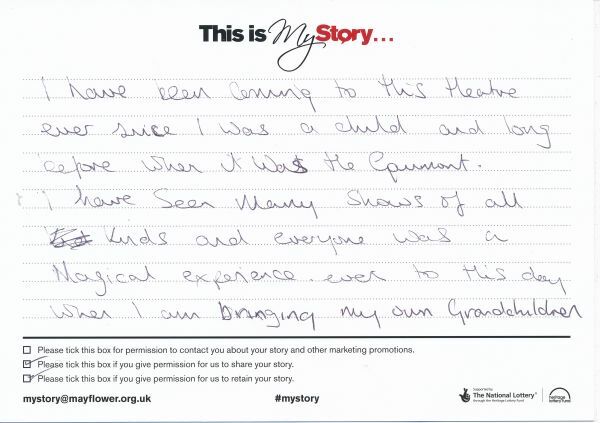 My Story Card: Maria Veal recalls coming to the theatre. I have been coming to this theatre ever since I was a child and long before when it was the Gaumont. I have seen many shows of all kinds and everyone was a magical experience, even to this day when I am bringing my own Grandchildren.